This bridge, which carries the military road over the Clunie Water, measures 15' 4" between its parapets and is 100 ft long. It has two segmental arches and a parapet measuring some 2' 10" in height. Structure details are obscured by heavy pointing, but the arches and central pier are probably original. 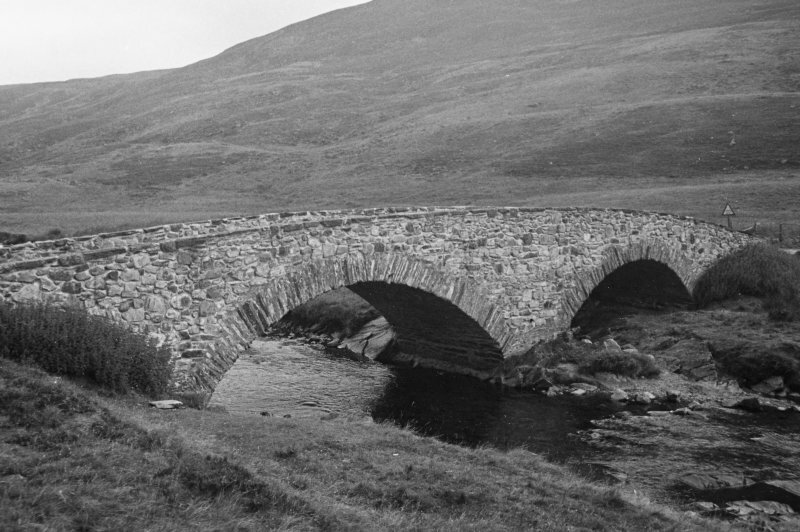 Due to affinities with Invercauld Old Bridge, a date of c.1752 is suggested for this bridge. 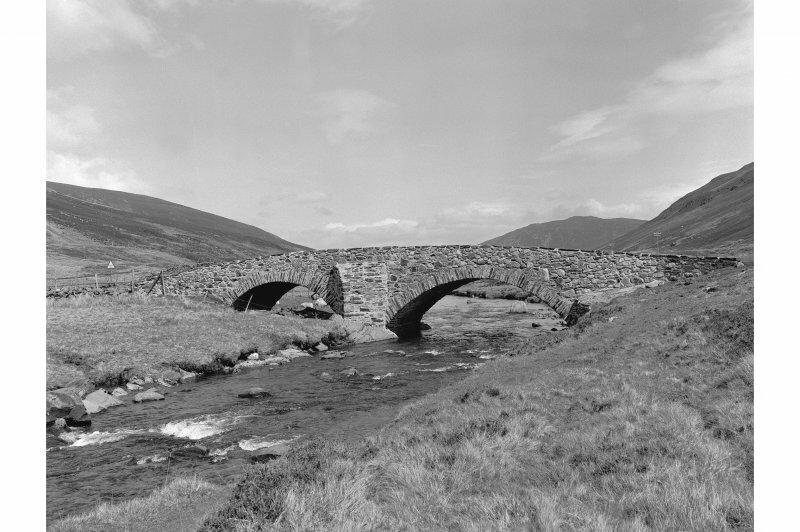 (Location cited as NO 147 864 and name as Bridge over Clunie Water, Braemar). 18th century. A graceful 2-span rubble structure, with flattened segmental arches of unequal size and a triangular cutwater.